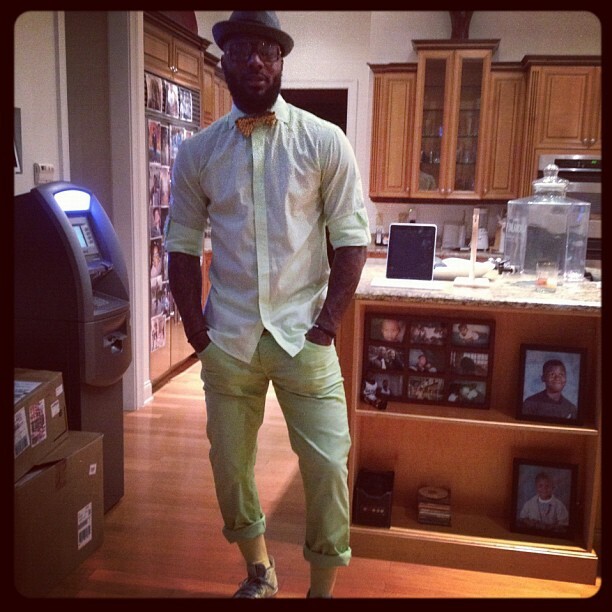 DeShawn Stevenson is a clown. Nobody has a freaking ATM in their kitchen. That’s idiotic. Know what would look good framed in that open space behind you? This photo. Nice stupid hipster outfit too. Totally unique of you in today’s NBA. The button up with a bow tie and huge beard? That part I get… you’re the only one that has to cover up this monstrosity. This entry was posted in Basketball and tagged DeShawn Stevenson, DeShawn Stevenson atm. Bookmark the permalink.